We've known Discord has been gunning for Steam for several months now. The creators of the popular gaming-focused communications app announced their own in-app game storefront back in August. After months of teases and a closed beta, Discord's new storefront has finally launched to the public, along with its first set of "First On Discord" timed exclusives. We've covered these exclusives in more detail in the past, but in short, they'll include the likes of Bad North (a minimalist survival title), Sinner: Sacrifice for Redemption (a Souls-like with "level-down" progression), and Minion Masters, a card-combat game with a MOBA twist. The critical difference between Discord's game store and Steam's is, according to the company, curation. Unlike Steam, which has quite a few below-average "asset flips" floating around its storefront, Discord seems to be putting a much greater emphasis on quality, or at least uniqueness. Whether or not that will remain the case as the store grows remains to be seen, however. In addition to a new storefront, Discord is also getting a game Library. The Library tool will let players install and play any of the games they've bought through the platform. Furthermore, it can automatically scan for other, non-Discord games on a player's system, letting them instantly access them from within the app. 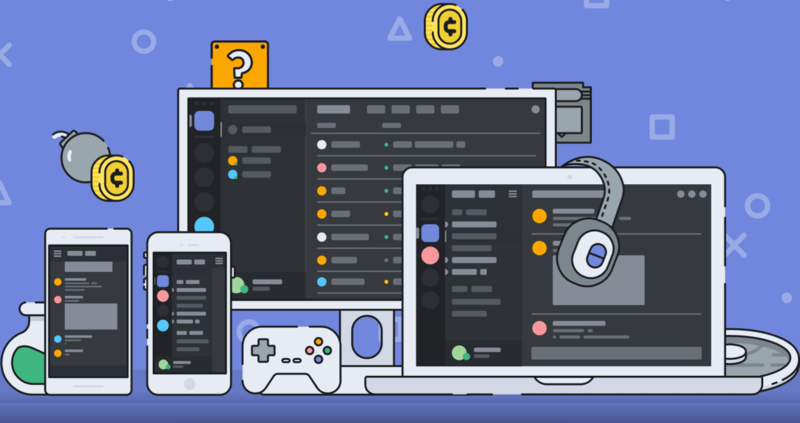 The final change Discord is making to its platform involves its Nitro subscription. Previously, Nitro mostly gave subscribers access to minor chat perks like animated emojis, a Nitro badge, and a larger file upload limit - all for $4.99 a month. Now, though, Nitro is "Evolving," both in terms of functionality and price. For $9.99 a month, subscribers will get access to a "growing library" of "critically acclaimed games," in addition to the previously-mentioned chat benefits. I've taken a look at Discord's Nitro line-up, and there are certainly quite a few solid games on offer. Though the list will undoubtedly change over time, as of writing it includes games like Japanese-themed stealth title Shadow Tactics: Blades of the Shogun, Darksiders, Soma, and even classics such as Psychonauts. If you want to try out the new Nitro or take a look at Discord's new game store, just restart the app (or download it if you haven't already) and let it update.